The Parliament Museum in New Delhi is a unique, visionary initiative that brings alive the democratic heritage of India in the form of a storytelling, high-tech museum. It is a one-of-its-kind institution in the country and attracts multitudes of people, especially the youth, who are interested in witnessing the development of their democracy and political structure exactly as it unfolded. We’re in too! The Parliament Museum is a section of the Parliament Museum and Archives (PMA); the other two sections being the Photographs and Films Section; and the Archives. Together the three preserve the nation’s ancient records, historical documents and articles, to protect them from the ravages of time and to showcase the evolution and functioning of India’s parliamentary institutions and polity to the newer generations in a most attractive way through charts, illustrations, models, photographs, films & other visual aids. Established in 1989, the museum was first housed in the Parliament House Annexe, but was subsequently shifted into its present dwelling – a spacious Special Hall in the Parliament House Library Building on Pandit Pant Marg in 2002. The museum was revamped and made highly interactive with multi-screen panoramic projections, walk-in exhibits, multimedia, video animations & animatronics and was dedicated to the nation by then President of India Dr APJ Abdul Kalam in 2006. It hasn’t failed to attract and enthrall visitors ever since! 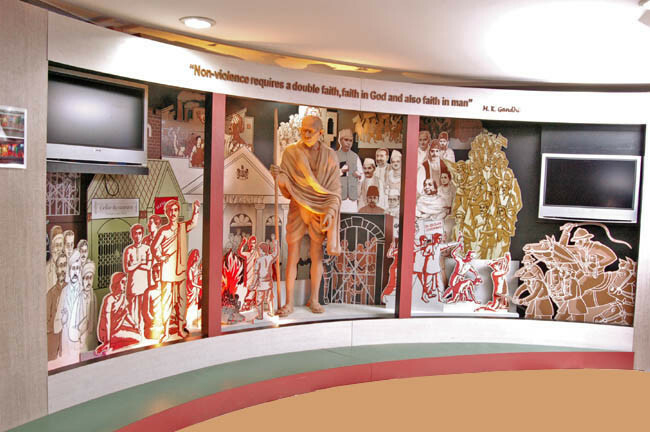 The museum is frequented by youngsters and tourists the most, what with the sound & light effects, storytelling displays, engaging series of photographs, live models & exhibits of reconstructed scenes of historical events like the famous Dandi March led by Mahatma Gandhi, the framing of the Indian Constitution, Pt. Jawaharlal Nehru’s historic speech (Tryst with Destiny) on freedom at midnight, the inscription of Emperor Ashoka’s edicts on stone pillars and so on. There are also real life simulations of how a typical Rajya Sabha (Upper House) & Lok Sabha (Lower House) chamber looks like and how the general elections are held. 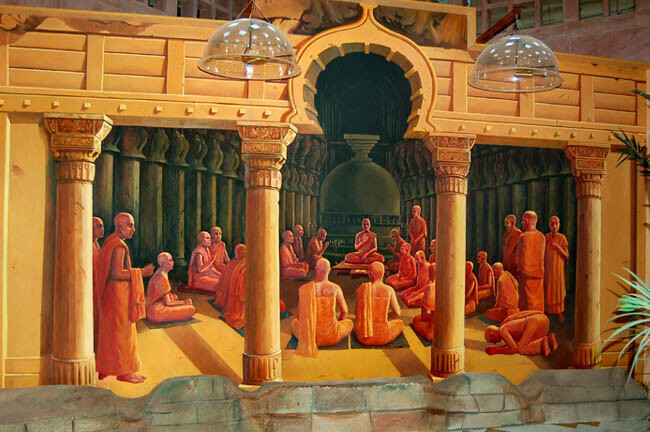 The entire museum is a feast for the eyes, giving a peek into the history of India’s political growth from ancient to modern times in a manner that can charm even the staunchest of politically-uninfluenced people. The museum employs very strict security measures while granting visitors permission to enter, quite understandably, owing to its high-risk location and a host of terror attacks in the past. Visitors are let into the museum in groups of at least 7-8 and a guide is sent along. Visitors need to provide a proof of identity to the museum personnel and may also be asked to deposit their mobile phones, cameras or any other sort of belongings at the cloakroom for security purposes. The museum remains open from 11 AM-5 PM on all days except Sundays & Mondays. Students are not charged any entry fee while for others, there is a nominal ticket fee of Rs 10. The museum is barely a 5 minute walk from the Central Secretariat Metro Station and stands right across the road from Rakab Ganj Gurudwara, another famous tourist spot of the city. Gather your kids for a fun, informative journey through the nation’s democratic pride!